Our wide experience in cooling of semiconductor devices encompasses air cooled and liquid cooled systems. In the variety of liquid cooled systems we have experience with different cooling fluids like pure water and high viscose fluids and their mixtures as well with direct cooling of semiconductors with deionised water. Our mechanical design capabilities allow us to build custom cooling solutions adapted to any application. 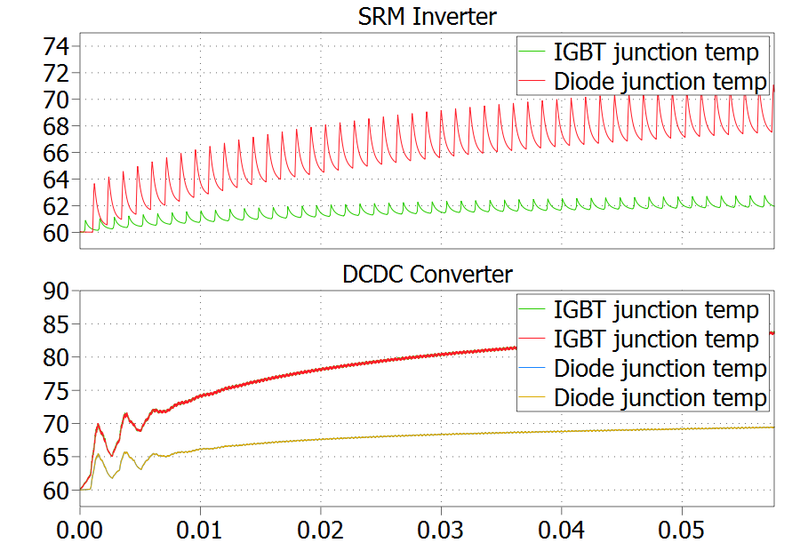 Based on an electrical simulation we can estimate the losses in the semiconductor chips. 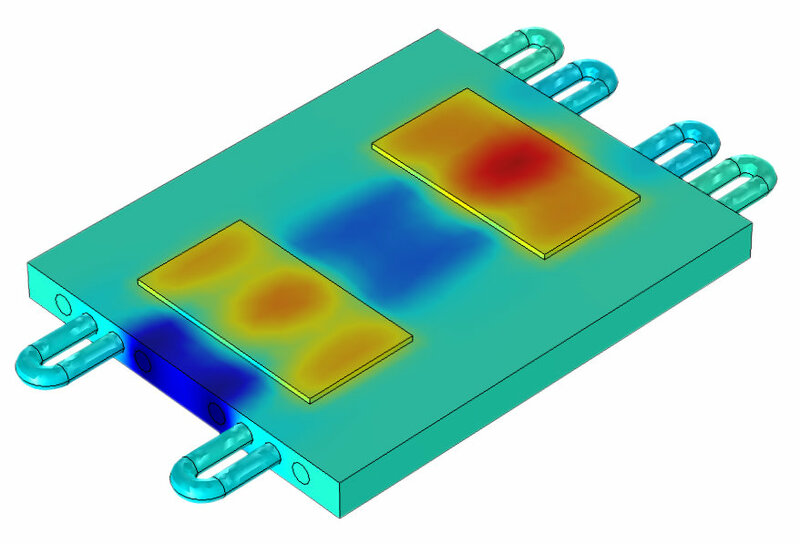 Due to a thermal impedance model of the semiconductor device the temperature raise of the chip can be calculated. For calculating temperature distributions or thermal impedances of heatsink structures we use 3D finite element software. This allows us to optimize designs in order to achieve the best performance possible. In a complex power electronic system not only the heatsink is a critical component. Also the conductive parts generate thermal losses. We can estimate the temperature rise with our simulation tools. Consequently, an optimal temperature management can be achieved.